Vomiting and spitting up are different. Newborn vomiting consists of a large amount of milk forcefully expelled at one time by mouth and it is frequently due to overfeeding. Spitting up consists of small amounts of milk which the baby regurgitates between feedings. Spitting up is of no concern if your baby is growing well, sleeping well, and is not extremely fussy. 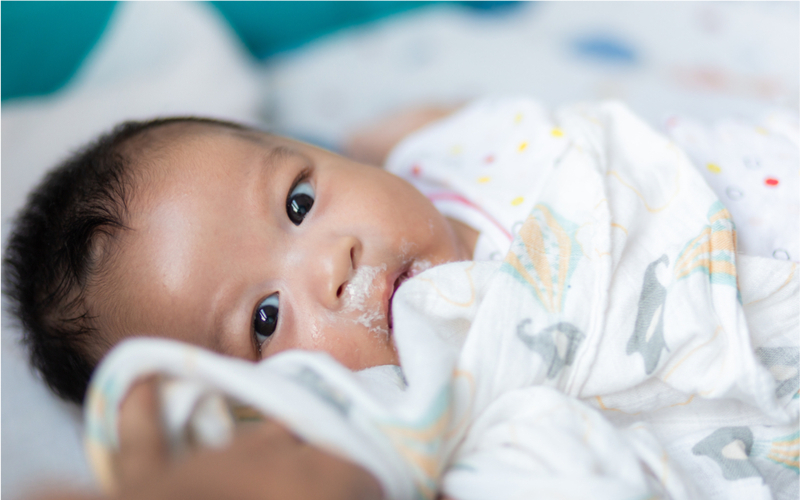 It is common for your baby to gag when spitting up and it may resemble choking. or is associated with lethargy, inconsolability, difficulty drinking fluids, or decreased urination.